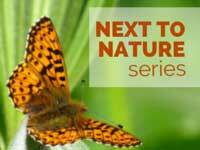 January 14 at 6 p.m.
Views and Brews launches the Next to Nature series of events. The Bean Tree across the street from the Roxy opens its doors for dinner and brews plus Jacob Weber playing his regionally-inspired music. Then the Roxy hosts Nathan Reynolds, Cowlitz Tribe ecologist, sponsored by Mt. St. Helens Institute. He presents Mt. St. Helens in the ways it is culturally important to the Cowlitz people. 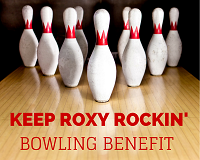 January 24 at 3 p.m.
Keep Roxy Rockin’ Benefit Bowl features 3 games of 9 pin, refreshments, a 50/50 raffle, Roxy movie coupon, and Aussie door prizes in honor of Australia Day on January 26. Tickets: $10 adults; $5 children 12 and under. Open seating. 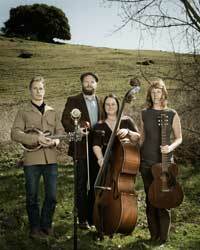 Foghorn String Band returns to the Tiller Arts Center as part of their winter tour. The quartet “is a present-day shining gold standard for American string band music.” Call concert organizer Eric Greiter at 369-496-8975 for more information. February 5 at 6:30 p.m. preceded by no-host dinner at The Bean Tree 5-6:30 p.m.
Wild is the film adaptation of Cheryl Strayed’s autobiographical novel, Wild: Lost and Found on the Pacific Crest Trail. If you are interested in this famed trail or the book or movie it inspired, join a moderated conversation to explore the Pacific Crest Trail as it traverses our own backyard and to discuss the healing aspects of nature and the outdoors. Panelists include Shiloh Reynolds, mental health counselor, Andrea Durham, USFS Recreation Planner and Wilderness Manager, and Ann Lindh with Mt. Adams Backcountry Horsemen. 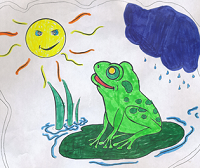 Next to Nature Series is a partnership between Centralia College East, Mineral School, Timberland Regional Library and Fire Mountain Arts Council. For further information, call 360-496-5022. February 28 at 7 p.m. The Songs of Sondheim – A celebration of the musical-theatre songwriting of Stephen Sondheim through the voices of Erin Bake, Bob McKenzie-Sullivan, Joseph Brassey, Catherine Brassey, Alan Newman, Paul Brassey, and Fiona Thornton, accompanied by Nancy Dillard and directed by Paul Brassey. 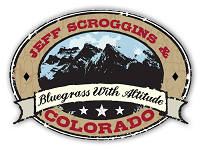 Jeff Scroggins and Colorado is a high energy, high mountain bluegrass explosion, featuring the amazing banjo playing of Jeff Scroggins plus award-winning musicians on mandolin, guitar, fiddle, and bass. 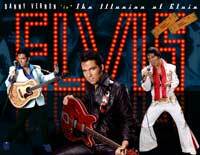 Back by popular demand: the Blue Suede Renegade, starring Danny Vernon, the dynamic performer with his amazing voice and charisma who re-creates the excitement of Elvis. April 16 at 6:30 p.m. preceded by no-host dinner at The Bean Tree 5-6:30 p.m.
Rick McClure, USFS Archeologist, retired, explores the critical first year of Civilian Conservation Corps operations on local National Forest System lands. CCC companies trained in Illinois were among the first to establish work camps in what is today the Gifford Pinchot National Forest. The CCC would put over a million and a half men to work during the remaining years of the Great Depression. 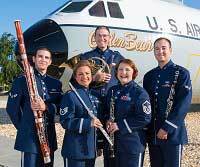 Golden West Winds is part of the United States Air Force Band of the Golden West from Travis Air Force Base, California. Comprised of flute, oboe, clarinet, French horn, and bassoon, this ensemble plays music of all styles including marches, jazz and classical music. Enjoy dancers, musical performances, large screen sing-alongs, and meet the American Girl Club! Try the armchair aerobics and join in the umbrella parade. Includes door prizes, rainy-day snacks, a Tweety cartoon, and a sneak preview of Willy Wonka Jr. Buy a Wonka Bar & you might get a golden ticket! June 6 at 9:30 a.m. The 3rd Annual Roxy Golf Tournament at Ironwood Greens in Glenoma features fun, 50/50 raffle, prizes, and events such as: Long Drive for men and women; Nearest the Pin for 2 holes for men and women. 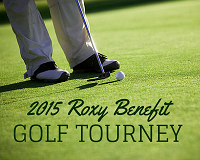 Participation fee of $40/person includes 12 holes, refreshments, and complementary Roxy Theater movie ticket. For more information, please contact Ron Field roan57@lewiscounty.com. Thanks for supporting your community theater! Join us for an evening of Dance, music and fun at the Morton Dance Recital! Watch students of Eatonville Dance, children, 3 to 18 years old, from beginner dancers to advanced. You will enjoy, ballet, tap, jazz, hip-hop and vocalists. Call Eatonville Dance Center at 360-832-5555 for more information. 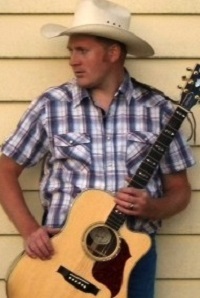 June 19, at 7 p.m.
Country/Americana recording artist Chris Guenther and his band blend Texas Swing, Old Time Fiddle, Surf, Blues, and Country Roadhouse Twang. With his band, the Honky Tonk Drifters, Chris showcases music from his 6 albums and performs music standards that have shaped the Country and Americana music landscape. Find more information on Facebook, YouTube and on their website. August 16 at 4 p.m.
Based out of Seattle, Washington, the North Country Bluegrass Band is one of the premier traditional bluegrass bands from the Northwest. North Country was founded in 2012 when the guys were jamming together at a local bluegrass event in Seattle. They quickly found a unique chemistry and demonstrated the same love for music, songwriting, and instrumental dynamics. Within the first year of formation, the band played at prominent music venues, including Wintergrass and the historical Paramount Theatre. Since then, they have continued to build their repertoire and toured throughout the United States and Canada. September 19 at 6:30 p.m. This year at our annual membership appreciation night we look forward to treating you to another taste of “the wavin’ wheat that sure smells sweet when the wind comes right behind the rains” with live Reprisals of â€œOklahoma!,â€ farmer-n-cowman cuisine, and picnic hamper raffles! October 18 at 4 p.m. Autumn Music Fest brings soloists, ensembles, and choirs from area churches together for an inspirational musical program. Join us at the Deadwood Saloon (also known as the Tiller Arts Center) as we ’round up the rabble of prairie folk from barmaids to prospectors! Old money, new money, homesteads and oil… will the ranchers and the cowmen still be friends when pistols fly from their holsters?! Come in character and help solve the mystery of murder at the Deadwood Saloon! Dinner and drinks provided. Costume rentals available with advance notice. Celebrate our veterans with 1940’s USO-style entertainment: big band, dance, skits, and song! Informational tables from the American Legion. Join us for weekly lectures, Tuesdays from 11 am – 11:50 am, featuring speakers on topics ranging from the Himalayas to horse-powered farming to history of Japanese NW timber workers. Drop in for a lecture or two for free, or register for the series for $25 and attend them all! The Lyceum Lecture Series runs from September 3 – December 2. Contact Centralia College East to register: 496-5022. A partnership of Centralia College East, Fire Mountain Arts Council and Mineral School. View the lecture series schedule. Experience a wonderland of creativity and generosity at the BCJ Gallery Benefit Tree Auction. Visit the winter wonderland forest in the Tiller Arts Center to bid and vote for your favorites in this 4-day silent-auction event, ending at 7:00 p.m. on December 12. Stop by anytime between December 9 and 12 for door prizes, raffles, cocoa, and cookies-by-the-pound fundraiser for the Friends of the Library!